Agusto Ramos, better known to his fans as FTampa, has had unbelievable growth and success as both a producer and DJ. 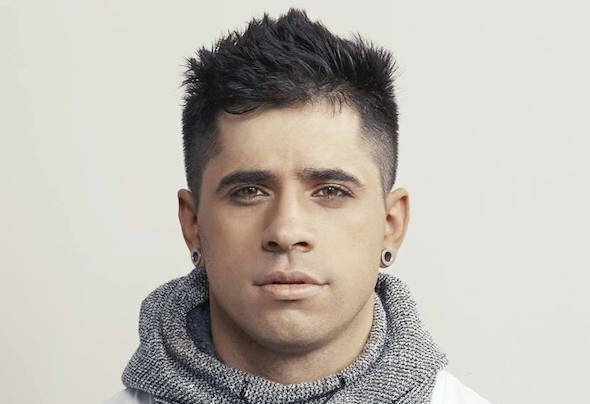 From his humble Brazilian upbringing to his now worldwide recognition, FTampa has made an impressive name for himself in the dance music community. EDM Chicago had the privilege of getting the DL from the man himself to find out just who is FTampa. -What has 2018 been like for FTampa so far? I was locked in my studio for some time and now I’m releasing all the stuff I made! I could say busy hahaha and I can’t wait to get all this new music released! -You’ve had the opportunity to play all over the world, are there still some “bucket list” locations you hope to perform? I want to perform everywhere! I love to travel, meet people and experience different cultures! I feel blessed to have this opportunity and I want to enjoy as much as I can! – Coming from a country with such rich musical history, are there any cultural elements you incorporate into your music? Sure thing! Whenever I’m working on drums I always try to use some Brazilian percussion! I made a track in 2015 (I guess) called Samba that’s all about Brazilian music! -How has your success affected the EDM scene in Brazil? Are there any up-and-coming Brazilian artists you support? It’s so cool because lots of artists started looking to the Brazilian producers after the EDM boom! What’s even cooler is there are at least 5 famous DJs in Brazil that used to be my students when I was started in EDM. I support all of them, it’s hard to pick one because most of us are really close friends. – What was your reaction on finding out Hardwell played your track “Kick it Hard” back at Tomorrowland 2013? I was in a hotel, sad and depressed about my career because “Kick it Hard” was a track different of my style at that time. I was watching live and I cried like a baby when I saw it! Hardwell has always been important to me and I really appreciate everything he did for me! -What artists have you had the best experience work with? I think all of them. I alway work with artists that I like and admire which makes things easier. I only make music with an artist if I really like what he/she does. Had learnt a lot and had so much fun working with Quintino, Kenneth G, Felguk and 22 Bullets. They are all amazing! Can you pick a favorite out of the “Strick it Up” remixes? Rrotik! You guys should definitely check out his music! He’s a little monster! One of my fav producers of all time! -For your diehard fans and those who are hearing your music for the first time, what’s one thing you want them to take away from your music? I always make music from my heart! Even if it’s a hard festival track. I really want people to feel it and get the message that I try to spread with my music! – What’s next for FTampa? Music, music and more music! Can’t wait to release all of these new tracks. I never lock myself in to just one musical style, I always do what I feel so expect the unexpected and let’s rock! A huge thanks to FTampa for taking the time to answer a few questions for EDM Chicago! We wish you the best on your continued success! Following the success of his latest release, ‘Who We Are’ which has already reached over 3 million streams, FTampa has now released the official music video for the song. The song has a personal touch to it as it pays tribute to his Mother and the relationship shared between mother and son.